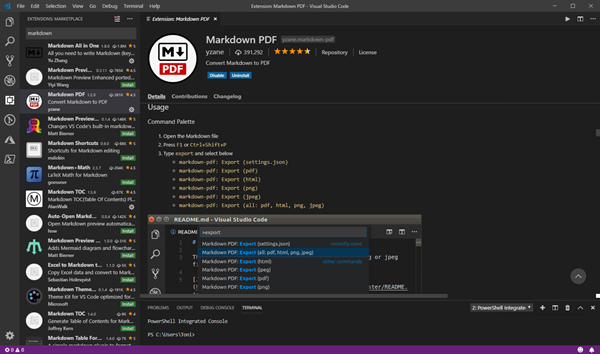 Simply install the Markdown PDF extension by yzane.markdown-pdf. This cool extension exports a .md file to a PDF file as shown here. Hope, this quick tip helps for automating.